Strident, albeit repetitive, arguments by Attorney General KK Venugopal demanding dismissal of the review petitions seeking investigation into the Rafale deal on grounds that a probe was “not in national interest” evoked a sharp response from the Supreme Court, on Wednesday (March 6), which said that similar circumstances existed in the Bofors scam trial and if the Centre’s claims were to be accepted, should all cases linked with the infamous scam of the 1980s be shut down too. As the Supreme Court bench of Chief Justice Ranjan Gogoi and Justices Sanjay Kishan Kaul and KM Joseph resumed hearing the bunch of petitions seeking review of its December 14 verdict which had ruled out a court-monitored probe into the Rafale deal, the Attorney General reiterated that the documents on the basis of which the review has been sought were “inadmissible as evidence” as they were “stolen from the Union defence ministry” and were protected under the Official Secrets Act. Arguing that the documents published by The Hindu newspaper and another one shared by news agency ANI were not supposed to be in the public domain, Venugopal sought to raise the bogey of national interest and the threat of war to present his case against the review petitions. “If CBI probe is directed now, the damage done to the country will immense,” Venugopal told the court while asserting that the publication of the “secret documents” related to the Rafale deal negotiations by The Hindu had damaged India’s image globally. As Venugopal began to detail India’s need for Rafale jets to fight against Pakistan’s F16 fleet, Chief Justice Ranjan Gogoi intervened to tell him that he must confine his arguments on the maintainability of the review petitions. 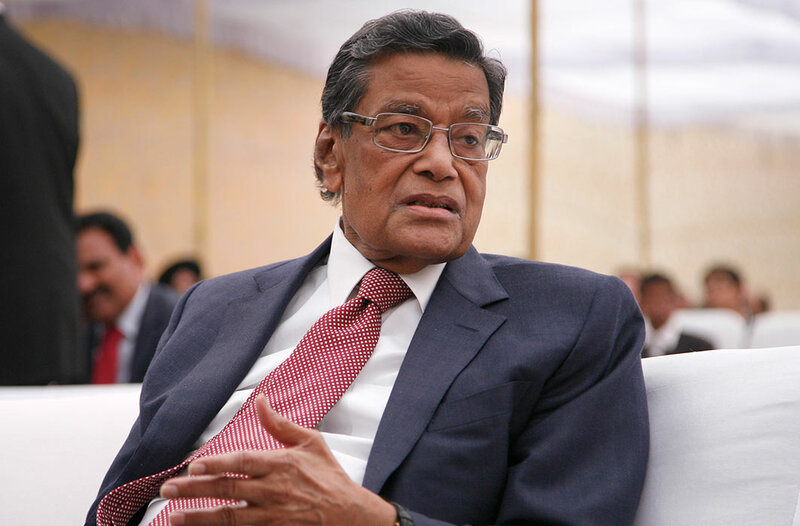 As Venugopal began, once again, to enumerate how the documents relied upon in the review petitions were “inadmissible” as they had been “procured through unfair means” in violation of the Official Secrets Act, he was interrupted once again, this time by Justice KM Joseph. The Attorney General then sought to know the “source” of the documents that the petitioners have relied upon while filing the review pleas. “Relevancy of the papers can’t be sole consideration (for allowing a review)… they must say whether retired or present officers did it (leaked the documents)… How did the petitioners get privileged documents of defence ministry,” Venugopal said. Perhaps perturbed by the Attorney General’s defiance, Justice Sanjay Kishan Kaul too joined the other judges on the bench to question Venugopal. “The documents having come before us, you can’t say that we cannot look into them,” Justice Kaul said. Venugopal then sought to revive his arguments on the damage that would be caused to the country if the court conceded to the demand of reviewing its December 14 verdict. “Every statement by this Court is used to destabilise either the government or the opposition. Why should the court become a party to such an exercise? This is why I am appealing to this Court to exercise restraint. Defence procurements can’t be judicially examined,” the Attorney General appealed. As Venugopal reiterated that documents made public by The Hindu and ANI were “stolen”, the bench asked him if the “head of (the concerned) department in the Ministry of Defence can file an affidavit” affirming this stand. The Attorney General then told the court that the affidavit will be filed on Thursday (March 7). The court then heard brief submissions from the counsel for one of the main petitioners, former BJP leader Yashwant Sinha. Sinha’s counsel submitted that Venugopal’s claim that the documents produced as part of the review petition are inadmissible “is not correct” and went on to cite how the apex court had admitted supposedly confidential documents provided by him as evidence in earlier cases filed by him related to the alleged professional misconduct and corruption of former CBI director Ranjit Sinha and in petitions related to the 2G spectrum and coal allocation scams. The bench then adjourned the proceedings for the day. It has directed the matter to be listed for further hearing on March 14, at 3 PM.